Keeneland announced four supplements to its 2018 November Breeding Stock Sale: a weanling filly by leading sire Tapit out of champion La Verdad; Almudena (PER), dam of Peruvian champion filly Cascanueces; Somalia, dam of 2018 Grade 3 Durham Cup winner Lookin for Eight and G3 Selene winner Miss Mo Mentum; and multiple Argentine G1 winner La Extrana Dama (ARG). All four horses are cataloged in Book 1, to be held Monday, Nov. 5. “These are exciting additions to the November Sale catalog and ones that will appeal to an international clientele,” Keeneland vice president of racing and sales Bob Elliston said. Eaton Sales consigns the Tapit filly, who is the second foal of champion female sprinter La Verdad, by Yes It's True. La Verdad won the G2 Gallant Bloom, G2 Distaff (twice), and G3 Vagrancy, and finished second in the 2015 Breeders' Cup Filly and Mare Sprint at Keeneland during four seasons of racing in which she earned more than $1.5 million. The weanling is cataloged as Hip 116A. Peruvian Group 1 winner Almudena is offered in foal to Candy Ride (ARG) and consigned by Vinery Sales, agent, as Hip 245A. She is the dam of Cascanueces, by Smart Strike, the reigning champion 3-year-old filly and two-time G1 winner in Peru, and More Than Words, a G3-winning colt by More Than Ready. Somalia, offered in foal to Gun Runner, is the dam of recent Durham Cup winner Lookin for Eight and Miss Mo Mentum, winner of the Selene at Woodbine in May. An 11-year-old mare by Mineshaft, Somalia is consigned by Bill Murphy, agent, and cataloged as Hip 245B. Somalia's weanling colt by American Pharoah is cataloged as Hip 198. Greenfield Farm (B. D. Gibbs Farm), agent, consigns multiple Argentine G1 winner La Extrana Dama (ARG) as a broodmare prospect. In two seasons of racing, La Extrana Dama finished in the money in 16 of 21 career starts, notching six group wins led by the G1 Gilberto Lerena and G1 25 De Mayo-Copa Dr. Enrique Olivera in April and May, respectively. A 5-year-old daughter of Catcher In The Rye out of G1 Santa Margarita Invitational winner Toda Una Dama (ARG), she is a half-sister to Venezuelan stakes winner Todo Un Senor. La Extrana Dama will sell as Hip 245C. A total of 4,510 horses, including broodmares in foal to the world's leading sires, broodmare prospects, weanlings, horses of racing age, stallions and stallion prospects, are cataloged to Keeneland's November Sale, which will be held Nov. 5-16. 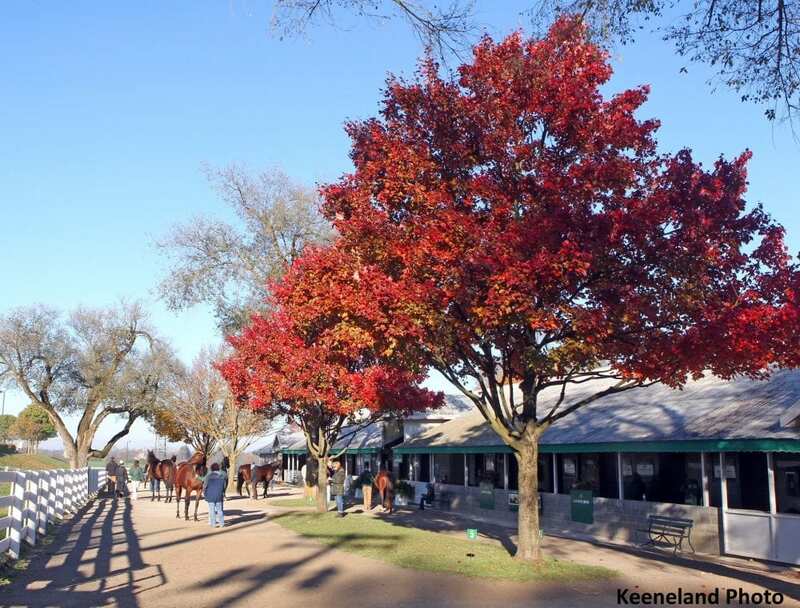 Keeneland will continue to accept supplements until the November Sale begins. This entry was posted in Bloodstock and tagged Almudena, Bill Murphy, bob elliston, Cascanuences, eaton sales, Greenfield Farm, keeneland november breeding stock sale, la extrana dama, La Verdad, lookin for eight, Miss Mo Mentum, Somalia, Supplemental Entries, tapit, vinery sales by Press Release. Bookmark the permalink.